80a 8 716 140 208 0 / 173 091 Burner Injector  Natural Gas Stereomatic, Type 7, 4.5mm dia. 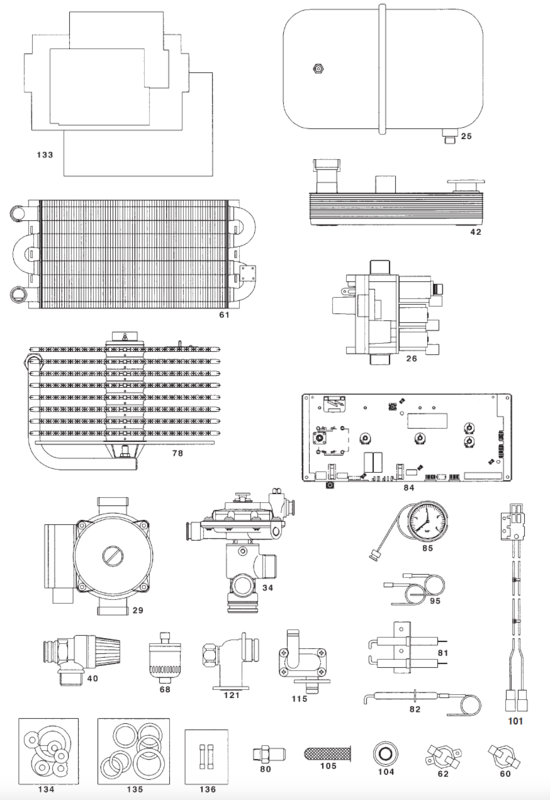 80b 8 716 140 209 0 / E00-741 Burner Injector  L.P.G. Stereomatic, Type 7, 2.78mm dia. The diagram above displays the exploded parts lists and part numbers for Worcester Bosch 24CDi OF boilers.